Our Youth Enhancing Kit has a blend of Powerful Peptides which provide an immediate, non-invasive cosmetic lift with long-term benefits for younger, firmer, radiant skin. Use for enhancing the eyes, cheeks, lips, or all three! This intensive serum, composed of micro-silica spheres, diffuse light, causing tiny lines and wrinkles to seemingly blur and vanish. High-tech extracts, peptides and state-of-the-art esters work to tone, hydrate and replenish lipids. 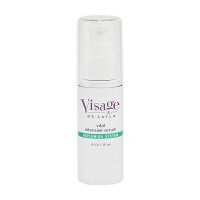 A unique combination of Atelocollagen (helps fill in fine lines and wrinkles), Pullulan (a skin firming/lifting agent), black tea ferment (to improve smoothness, radiance and skin tone) and nylon-12 silica (to diffuse light) work together to diminish the appearance of the depth and length of existing wrinkles. Indulge your lips! This revolutionary plumping lip treatment moisturizes and enhances lip contours. Specially formulated with oligopeptides, natural avocado oil and a powerful vitamin blend. This intensive eye cream incorporates peptides and botanical extraction technology to smooth, hydrate and refine the delicate area under the eyes. Natural emollients and cushioning esters hug the contours of the skin to revitalize and smooth. Be the first to review “Youth Enhancing Kit” Click here to cancel reply.